Arrival to the airport Split. Transfer to the hotel in Medjugorje. Check in. Dinner and overnight. Breakfast at hotel. 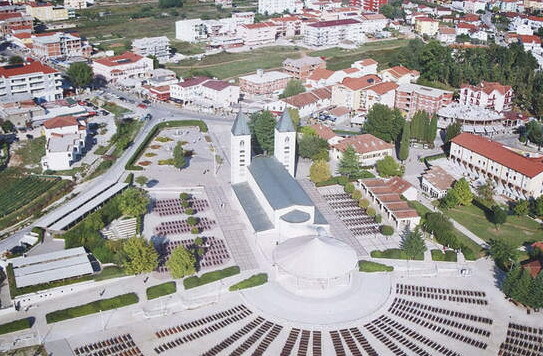 Sightseeing of Medjugorje, start with attending the holly mass in the church of St. James followed by an introductory talk about the apparitions of Our Lady. Orientation walk around Medjugorje. Lunch. 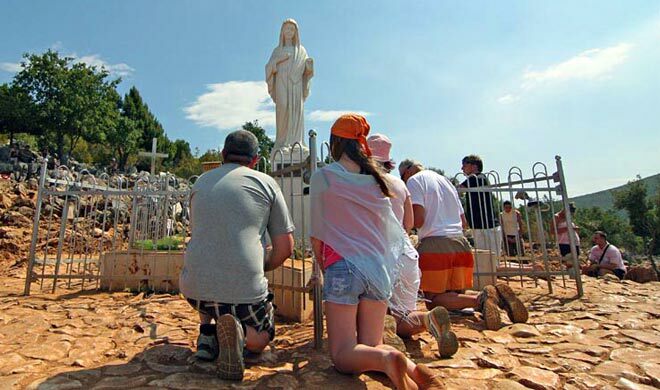 In the afternoon walk to Apparition Hill at the place where Virgin Mary appeared to six teenagers for the first time at 1981. Dinner and overnight. Breakfast at the hotel. In the morning climb to Mt. Krizevac (Cross Mountain) where you will pray together the “Way of the Cross”. The stations are marked by bronze sculptures depicting each scene of our Lord’s passion and death. Holly mass at noon. Lunch. In the afternoon visit of: Cenacolo – community for recovering addicts, established by Italian nun Elvira. This can be a very powerful encounter. Or Majčino selo (Mothers village) – orphanage, established by father Slavko. Mother's village is an institution for the education and care of abandon and neglected children which has been active since 1993. There is a workshop (Queen Katrina's shop) where you can pick up knick knacks and souvenirs. Back to hotel. Dinner and overnight. Breakfast at hotel. Transfer to Split airport.